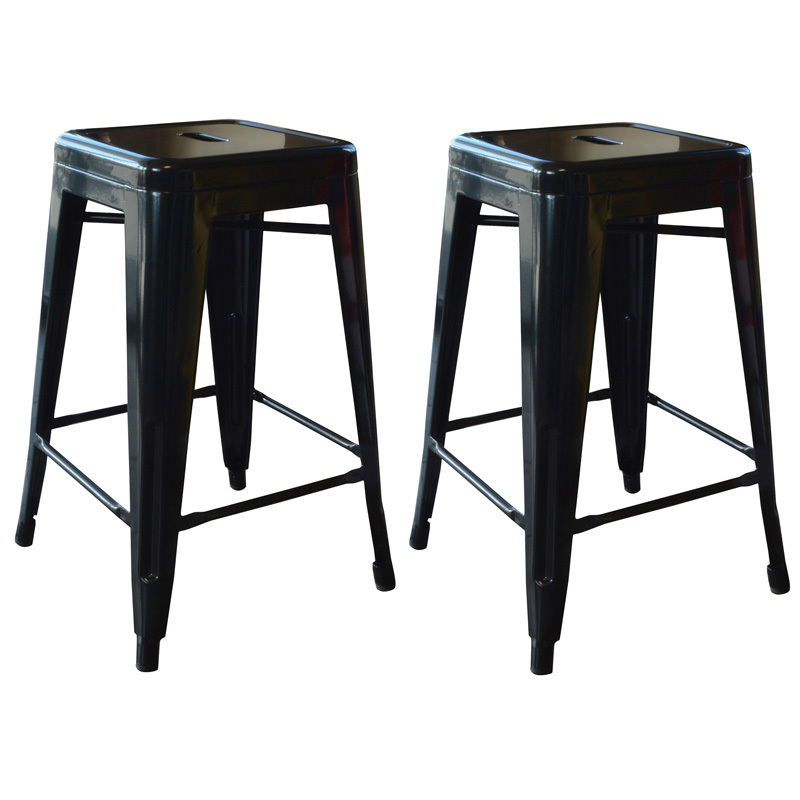 Add a bit of whimsy to your kitchen, bar, game room, basement, or shop with the AmeriHome Bar Stool Set in glossy black. 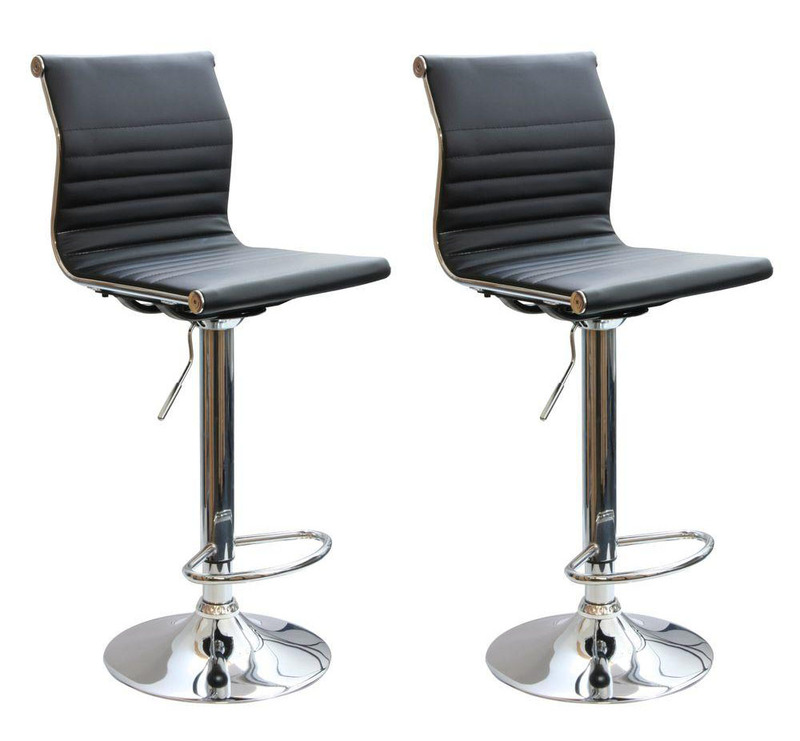 A sleek and fun silhouette with a polished mirror-like chrome base and a shiny black molded seat give them an ultramodern look. 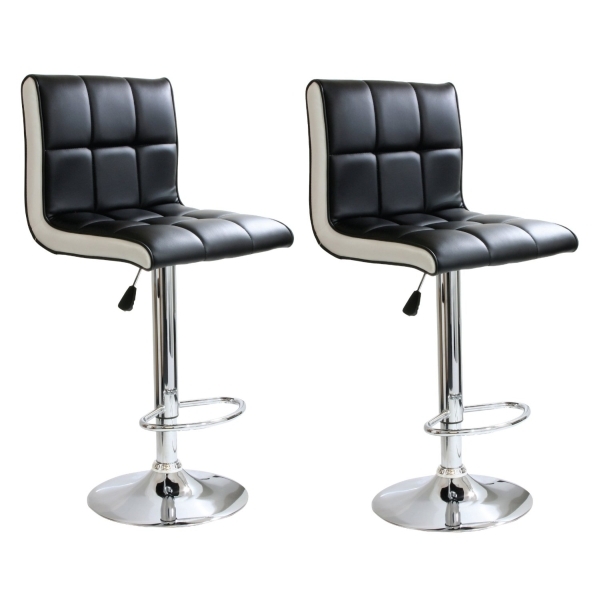 These bar stools are designed with comfort in mind. 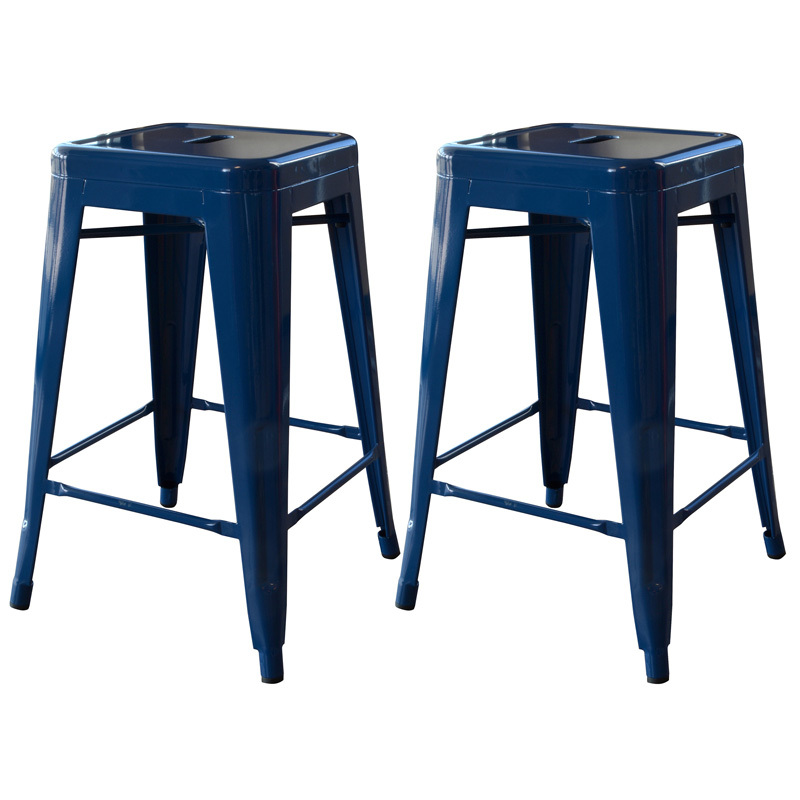 With a large 14.75 inch wide molded ABS plastic 360 degree swivel seats, built in footrest, 3 inch backrest, and an adjustable seat height of 22 to 30 inches. 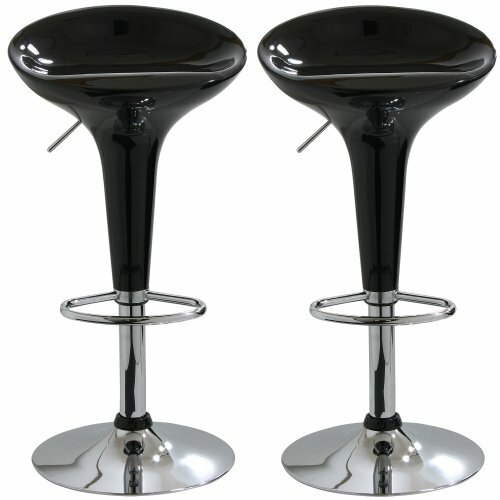 Great features that make these bar stools comfortable for everyone. Adjustable seat height from 22 to 30 in. Maximum seat back height of 33 in. 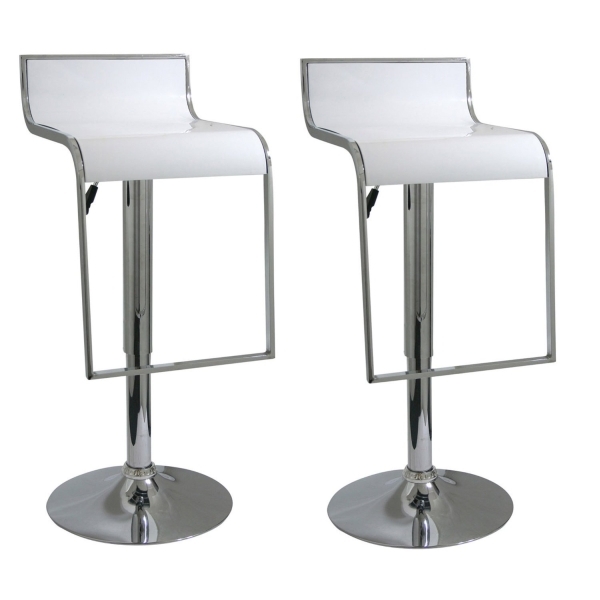 Add a bit of whimsy to your kitchen, bar, game room, basement, or shop with the AmeriHome Bar Stool Set in glossy silver. 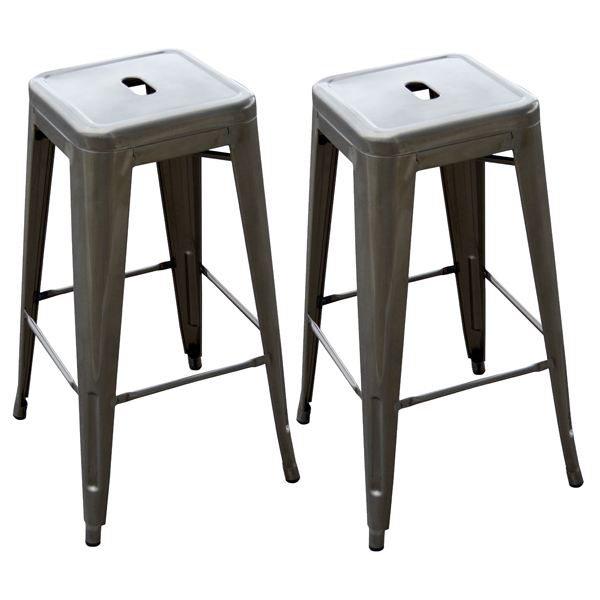 A sleek and fun silhouette with a polished mirror-like chrome base and a pearly silver molded ABS plastic seat give these bar stools an ultramodern look. 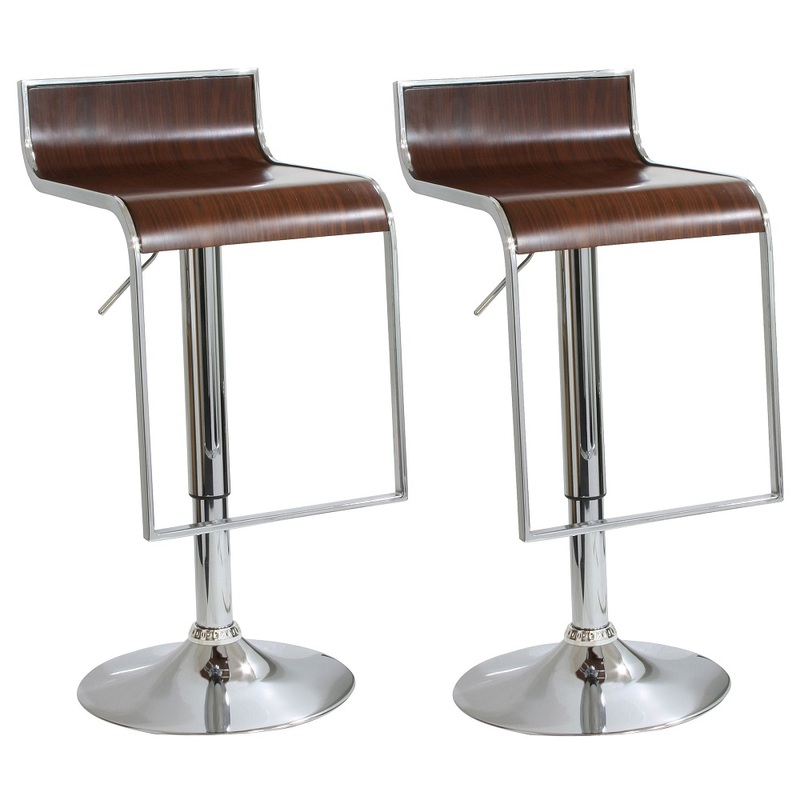 These bar stools are designed with comfort in mind. 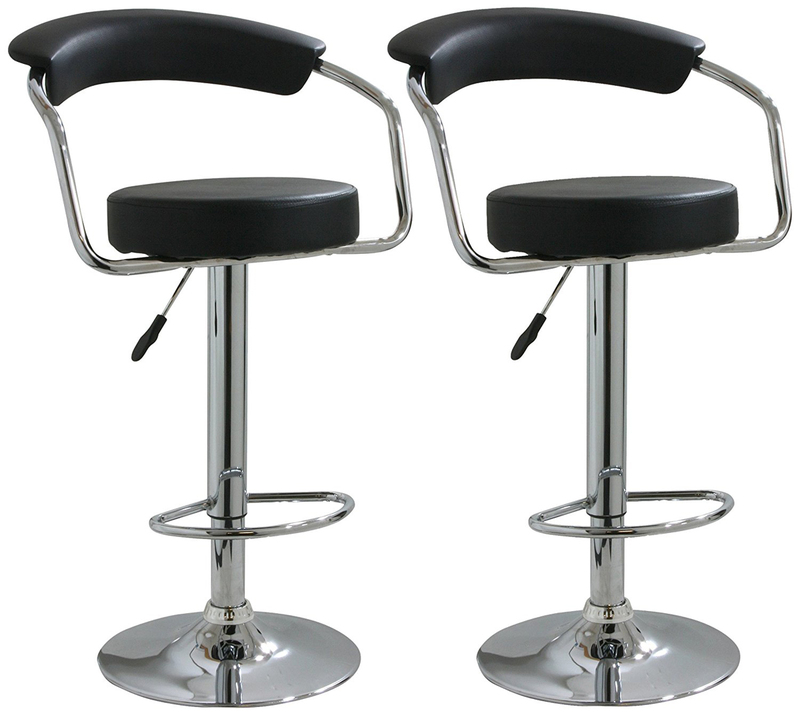 With a large 20 inch wide, molded plastic 360 degree swivel seat, a built in footrest, and an overall adjustable seat height of 21.5 to 25.5 inches. 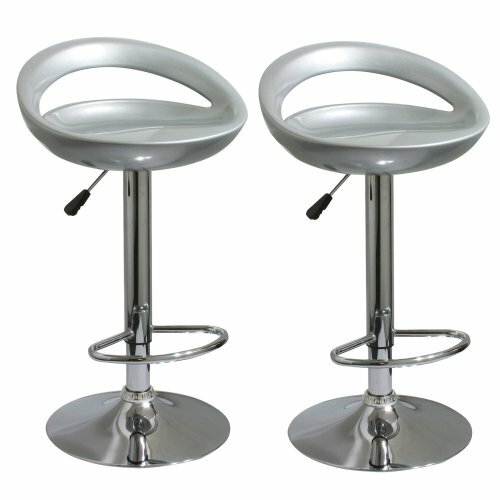 Great features that make this bar stool comfortable for everyone. Adjustable seat height from 21.5 to 25.5 in. 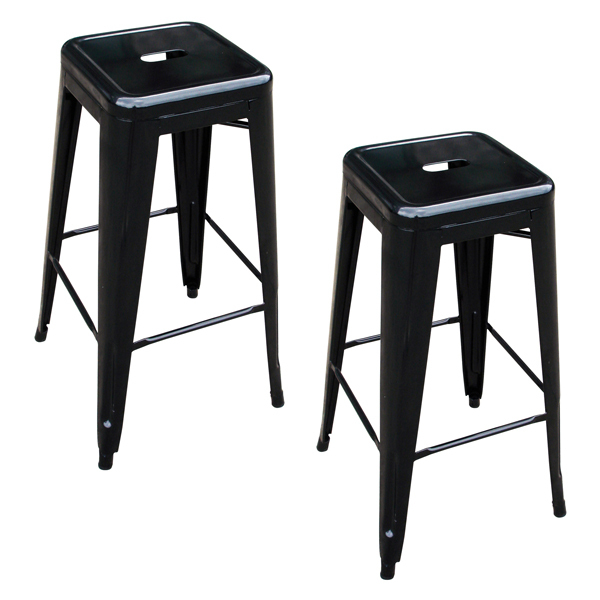 Maximum stool back height of 40 in. 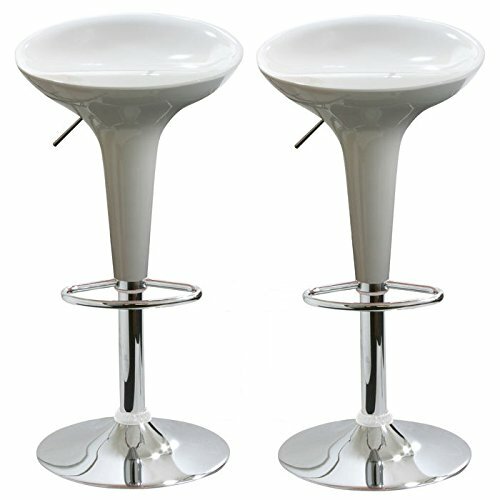 Add a bit of whimsy to your kitchen, bar, game room, basement, or shop with the AmeriHome Bar Stool Set in glossy white. 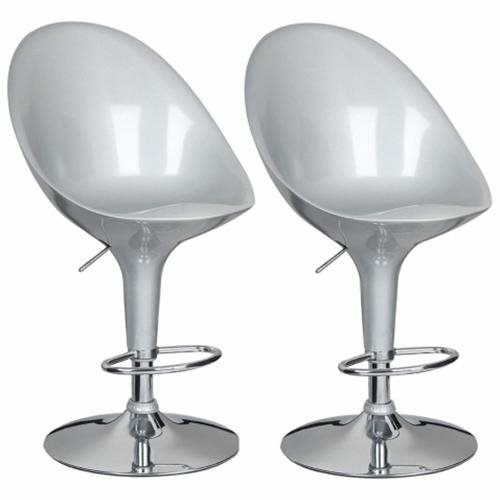 A sleek and fun silhouette with a polished mirror-like chrome base and a shiny white molded seat give them an ultramodern look. 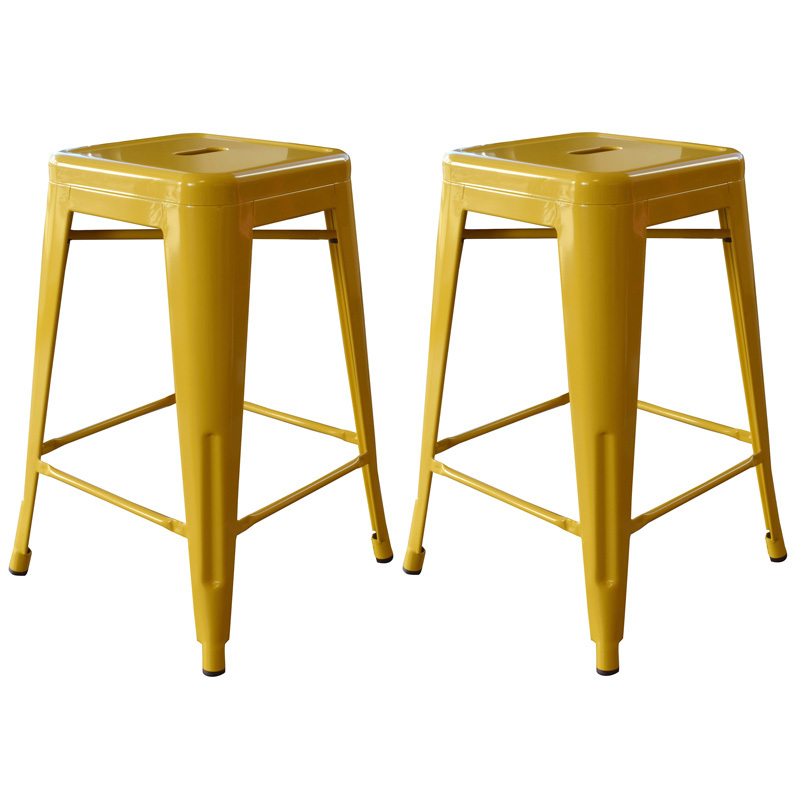 These bar stools are designed with comfort in mind. 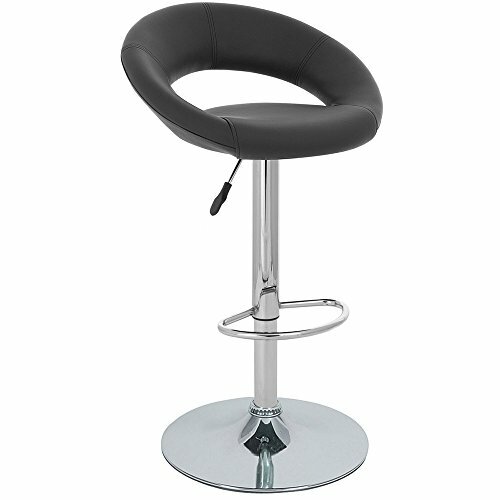 With large 14.75 inch molded ABS plastic 360 degree swivel seats, built in footrest, 3 inch backrest, and an adjustable seat height of 22 to 30 inches. 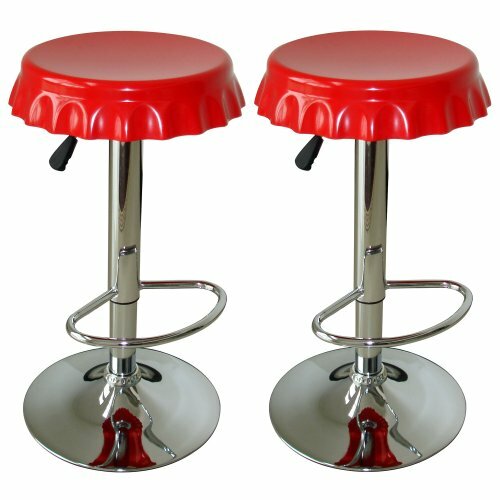 Great features that make these bar stools comfortable for everyone.